The Blue Devils rally in the second half for one of the program's largest comebacks. (19) LSU 73, (5) KENTUCKY 71: Kavell Bigby-Williams’s tip-in at the buzzer lifted LSU over the Wildcats at Lexington, Kentucky. 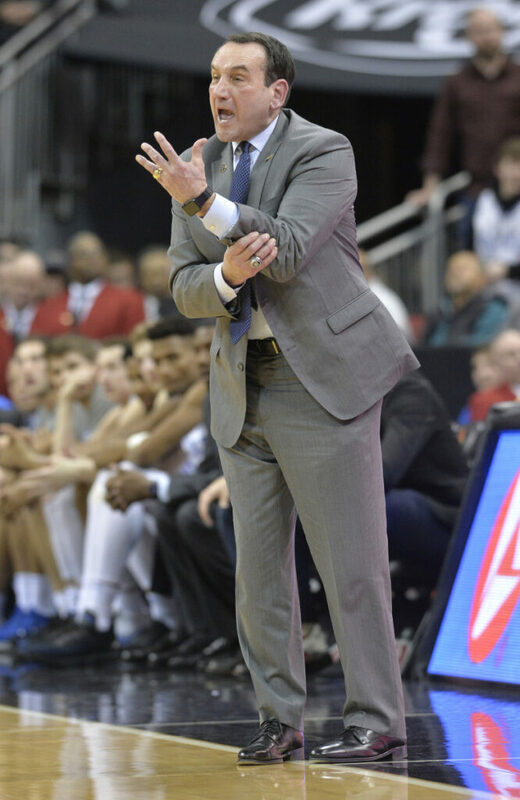 (10) MARQUETTE 92, DEPAUL 73: Markus Howard scored 36 points, Sam Hauser had 17 and the Golden Eagles (21-4, 10-2 Big East) beat the Blue Demons (13-10, 5-7) at Chicago. (11) MICHIGAN STATE 67, (20) WISCONSIN 59: Cassius Winston scored 23 points to help the visiting Spartans (20-5, 11-3 Big Ten) beat the Badgers (17-7, 9-4) . (24) MARYLAND 70, (12) PURDUE 56: Jalen Smith scored 14 of his 16 points in the second half, and the host Terrapins (19-6, 10-4 Big Ten) used a strong defensive performance to end an eight-game winning streak by the Boilermakers (17-7, 10-3). (25) BUFFALO 76, AKRON 70: CJ Massinburg scored 21 points, Dontay Caruthers added 15 and the visiting Bulls (21-3, 9-2 Mid-American Conference) turned up their defensive intensity in the second half to beat the Zips (14-10, 6-5).